After 20 years in their home, this Redding, CT couple was anxious to exchange their tired, 80s-styled master bath for an elegant retreat boasting a myriad of modern conveniences. 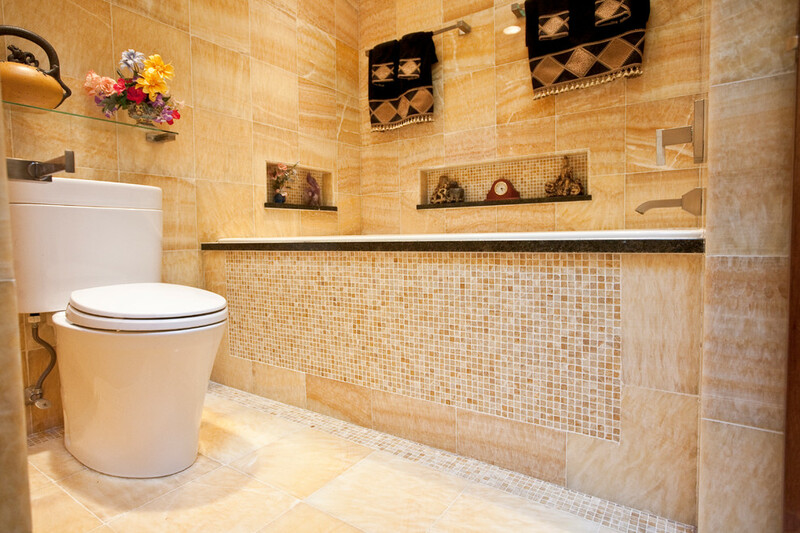 Because they were less than fond of the existing space-one that featured a white color palette complemented by a red tile border surrounding the tub and shower-the couple desired radical transformation. 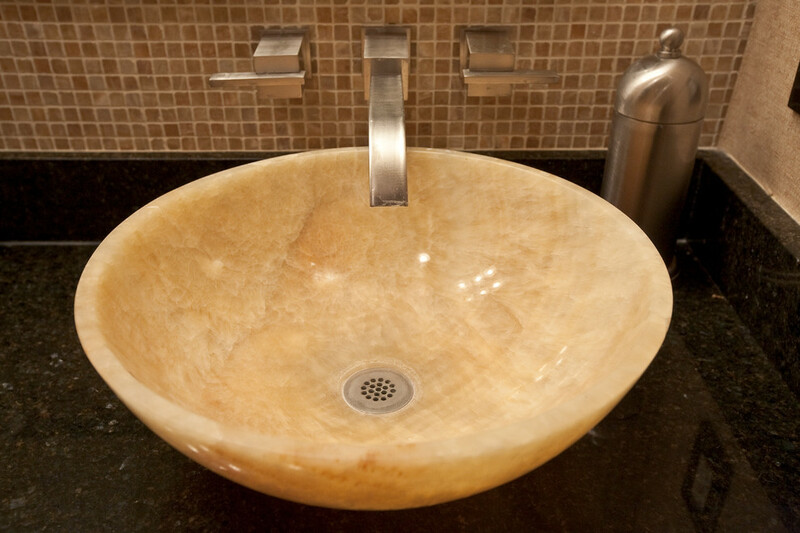 Inspired by a recent stay at a luxury hotel & armed with photos of the spa-like bathroom they enjoyed there, they called upon the design expertise & experience of Barry Miller of Simply Baths, Inc. Miller immediately set about imbuing the room with transitional styling, topping the floor, tub deck and shower with a mosaic Honey Onyx border. Honey Onyx vessel sinks and Ubatuba granite complete the embellished decor, while a skylight floods the space with natural light and a warm aesthetic. 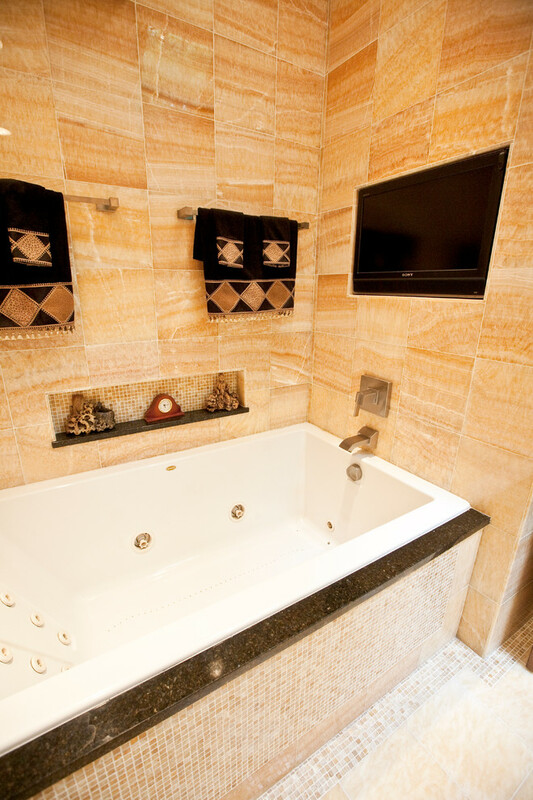 A large Whirlpool tub invites the couple to relax and unwind, and the inset LCD TV serves up a dose of entertainment. 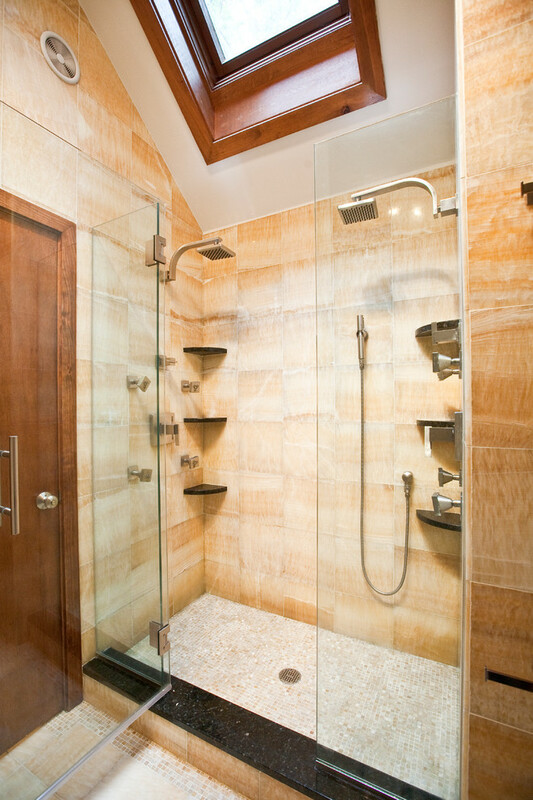 When time doesn't allow for an indulgent soak, a two-person shower with eight body jets is equally luxurious. 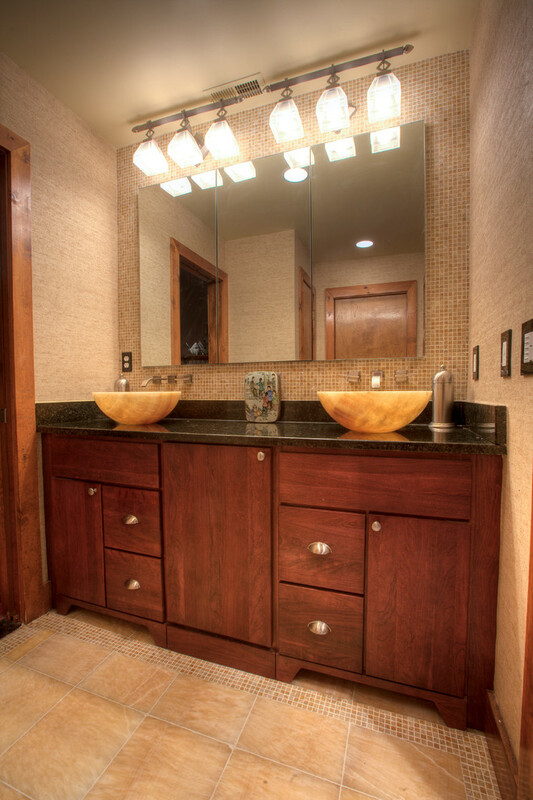 The bathroom also features ample storage, complete with three closets, three medicine cabinets, and various display niches. 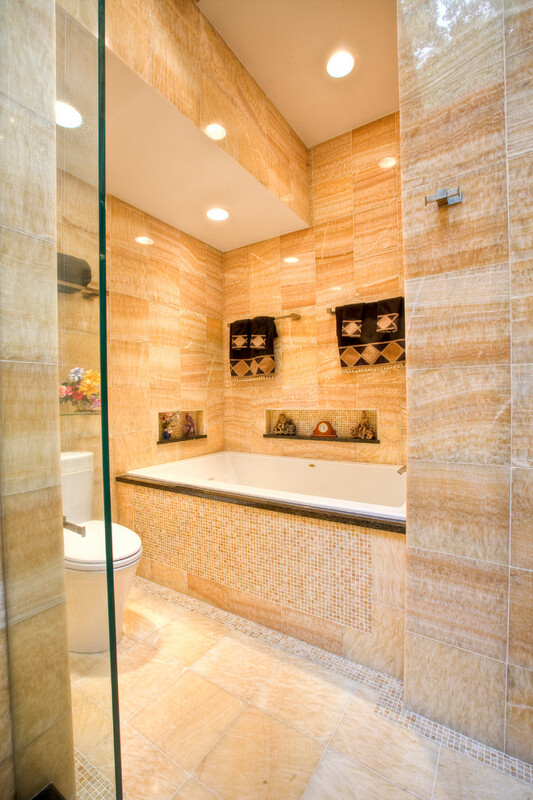 Now these homeowners are delighted when they set foot into their newly transformed five-star master bathroom retreat.